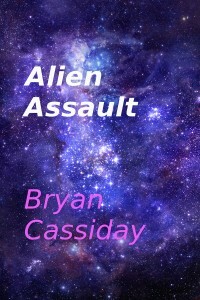 Bryan Cassiday’s apocalyptic science-fiction anthology Alien Assault will be available on Kindle 11/19/2014. This entry was posted in science fiction and tagged apocalyptic fiction, bryan cassiday, horror anthology, horror stories, science fiction, science fiction anthology by bryancassiday. Bookmark the permalink.